- Compact arch size 90mm for proper braking power. - Bending curve shape for tyre clearance. 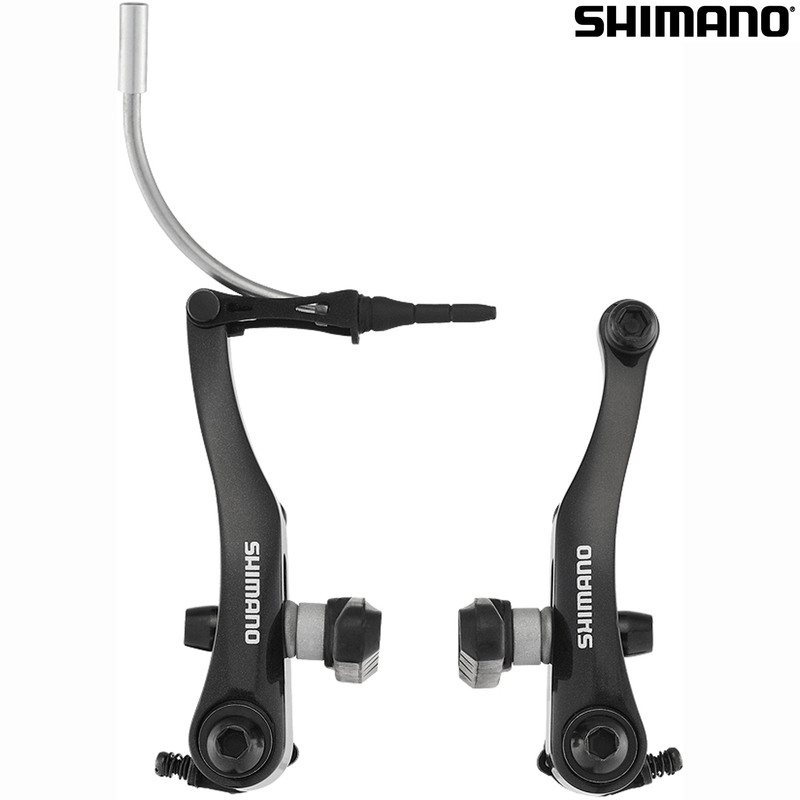 - Compatible with road Brake Lever for Flat Handle/Pavement bike. Do these include a noodle (90-degree for rear) and a gaiter? If not, can you recommend compatible ones? Yes - the photo shows everything included. Are These Therefore Compatible With Road Sti Levers Too? These brakes would indeed be compatible with road STI levers also. They should provide greater clearance than standard road calliper brakes allowing more room for tyres and mudguards.